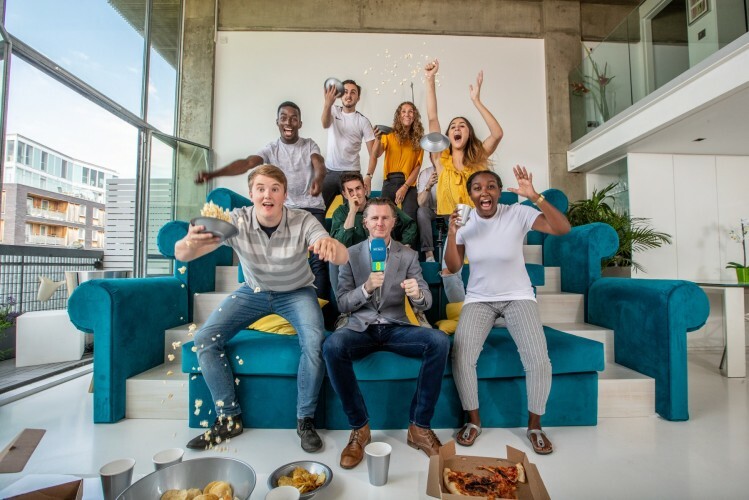 London, 25 July 2018: In time for the forthcoming football season, EE today announced the launch of an enhanced BT Sport offer - allowing customers to use their free BT Sport app access to watch the sport they love in HD on multiple devices. The move forms part of EE’s mobile convergence strategy to give customers more flexibility on how and where they watch their favourite content. New and existing EE pay monthly mobile or tablet customers who haven’t used EE’s original BT Sport offer can get three months’ free access with inclusive data so sports fans can stream the biggest events on the move and in stunning HD without impacting their monthly data allowance. Customers who have redeemed the original offer can still benefit. They’ll be able to access all of the above for just £5 for the first three months, saving them up to £30. And with the biggest and fastest 4G network in the UK, EE customers will be able to enjoy the big game in more places than any other provider. After three months, those on EE Max plans can get access to the app on their mobile included in their plan, with inclusive data / TV casting for just £10 a month. Meanwhile, EE Essentials and SIM only customers can get the app on their mobile for £5 a month or inclusive data / TV casting for £15 a month. BT Sport is only on a 30-day plan so customers are not committed to a contract and can stop the offer at any time – meaning they only pay for the months of sporting action they actually want. Customers can enjoy HD sport on a smartphone, tablet, laptop, or watch it on a bigger TV screen with a casting device such as Apple TV and Chromecast. Customers can register the BT Sport app on up to four different devices and even enjoy HD action on two devices simultaneously. Eligible EE pay monthly customers can receive three months free access to the BT Sport App from today by texting ‘SPORT’ to 150. For more information on EE’s BT sport offer, please visit ee.co.uk/btsport.